There are two ingredients in this recipe. Yep, two. A 1lb bag of halved pecans and 6 fl oz of pure maple syrup. And that’s it. It’s super easy, not labor intensive at all, but you do need about an hour chunk of time to do this so decide when you have that time, weekend, morning, afternoon, evening and do it then. Then all you do is preheat your oven to 325 degrees, dump your bag of pecans in an ungreased 9×13 pan and pour the syrup over and mix; stick it in the oven and every 15 minutes take the pan out, stir it around and stick it back in. You want to cook them until there is no more liquid. Once they’ve cooked about 45 minutes(or after 3, 15 minute increments when you take them out and stir, possibly after 2, depending on your oven) there will be just a little bit of liquid in the bottom of the pan and you’ll see some of the maple syrup will have crystallized around the edges of the pan. At that point all they’ll need is another 5 or so more minutes and stir(and maybe scrape) and check again; basically you want the syrup to crystallize on the pan and on the nuts and no longer liquidy. You’ll want to watch carefully at this point as things can turn bad quickly. You’ll even be able to smell that they’re about done! Once they’ve crystallized, they’re done so pull them out and let them cool in the pan; they’ll harden more as they cool. And that’s it! I always make these near Christmas to have around as a snack. You can save some in a tupperware and then throw them on salads to make them a little more festive and yummy! These will keep well for at least a couple of weeks, maybe longer, they’ve just never lasted that long in our house. Preheat oven to 325 degrees. Spread pecans in 9×13 pan. Pour syrup over top(a thin layer of syrup should cover the bottom of the pan). Stir and place in preheated oven. Stir every 15 minutes. Once liquid is almost gone, they may just need another 5-10 minutes so watch a little more closely at the end. Take out once liquid has crystallized (about 45 min, plus or minus). Allow to cool in pan; they will harden as they cool. Keep out in a pretty dish on the counter for snacking or save in a tupperware for longer and throw on salads. We have several dinner recipes we love that go great with rolls or bread sticks. Now before we get cooking, I think you should know that wheat breads are never going to be as light and airy as breads made from all white flour; wheat breads are denser and that’s just how it is. But, that being said, I’ve made lots of different kinds of breads, some of which are 100% whole grain, some of which are half and half and we have a few favorites that we make over and over again. This is one of them. I’ve made these crescent rolls all whole grain, and I’ve made them mostly whole grain with a cup of white flour and both ways are really good, but with even that one cup of white flour, there is some change in consistency and texture. So in this post, I will show how to do it both ways so that you can choose for yourself. If you have younger, pickier eaters that you’re cooking for, you may want to use one cup of white flour. And notice in the picture below that I like to use King Arthur’s bread flour, but you can definitely use another all-purpose flour. You’ll need some whole white wheat flour, 1/4 c ground flax(I like golden because the color looks nicer but brown is fine too) and 1 c brown rice flour if you’re not using white flour. The rest of the ingredients are pretty typical of bread making: honey, salt, vital wheat gluten, butter, yeast and a little sugar(or honey) to help the yeast grow. I used evaporated cane juice for the sugar. Combine warm water and sugar in the stand of a heavy duty mixer(or just a large bowl if you don’t have a big mixer). Sprinkle on yeast, stir to combine and allow to stand 5- 10 minutes until frothy. If you’re making buttermilk from lemon juice and milk, combine them now in a liquid measuring cup and let stand 5 minutes to sour. To the large mixing bowl with yeast water add buttermilk, melted butter, honey and salt and mix well. 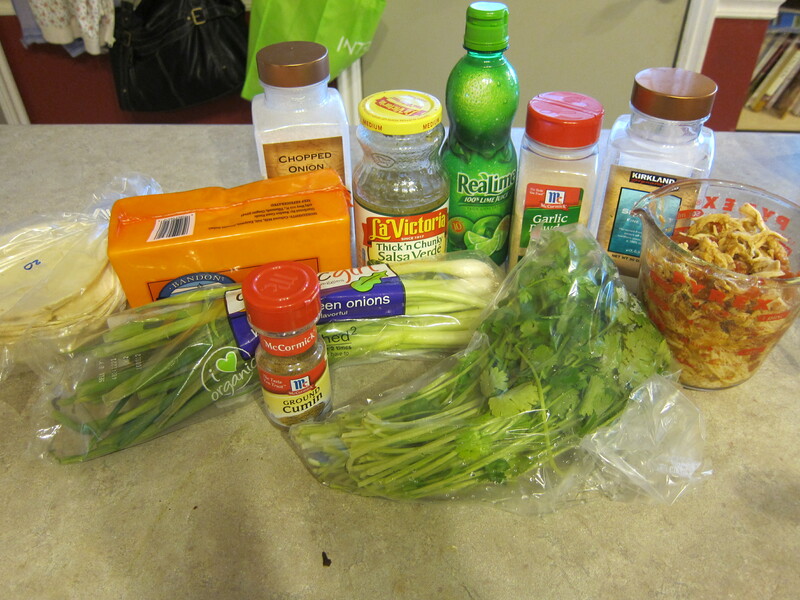 Add 1 c of brown rice or white flour, 1/4 c ground flax, 3 c of wheat flour, and vital wheat gluten and mix well. Add more wheat flour, 1/2 c at a time until the dough pulls away from the sides of the bowl, cleaning it, and barely sticks to your finger. Once it gets to that point, mix/knead for 5 minutes. Spray a large glass bowl or 9×13 dish with pam. Turn dough into bowl and cover with a clean dish cloth. Allow to rise until double in size, about one hour. To speed up rise time you can put it in a cool oven with a dish of boiling hot water underneath; this will take about 30 minutes for it to double in size instead of the full hour. Lightly flour a work surface. Line 2 baking sheets with parchment paper and set aside. When dough has risen, transfer to work surface and divide dough in half. Roll each half into a circle about 12 inches in diameter and about 1/4-1/2 inch thick. Use a pizza cutter to cut dough into 8 equal wedges. Start with wide section of each wedge and roll down to the point. Place on baking sheet and form in a slight crescent. Repeat with remaining dough pieces. Cover and put back in cool oven with boiling hot water and allow to rise until doubled, about 20 minutes(or you can let them rise on the counter for about 40 minutes). Take them out and preheat oven to 375 degrees. Whisk egg white and carefully brush tops of rolls. If you want, you can sprinkle on some grains like oats, flax seed, sesame seed to make them look pretty….but if you have kids eating these you may want to leave some of them plain. I toast my grains on the stove over medium-high heat for a couple of minutes until they become fragrant. Watch closely and stir continuously because they can burn fast. Bake 13-15 minutes or until barely golden brown on top. Bake one sheet at a time and serve warm. This batch with the red cloth underneath was made with 100% whole grains. Heaven! I love them warm and soft when they’re fresh out of the oven. If you have leftovers, pop them in the microwave for a few seconds before serving. And this batch was made with mostly whole grains and a little bit of white flour. 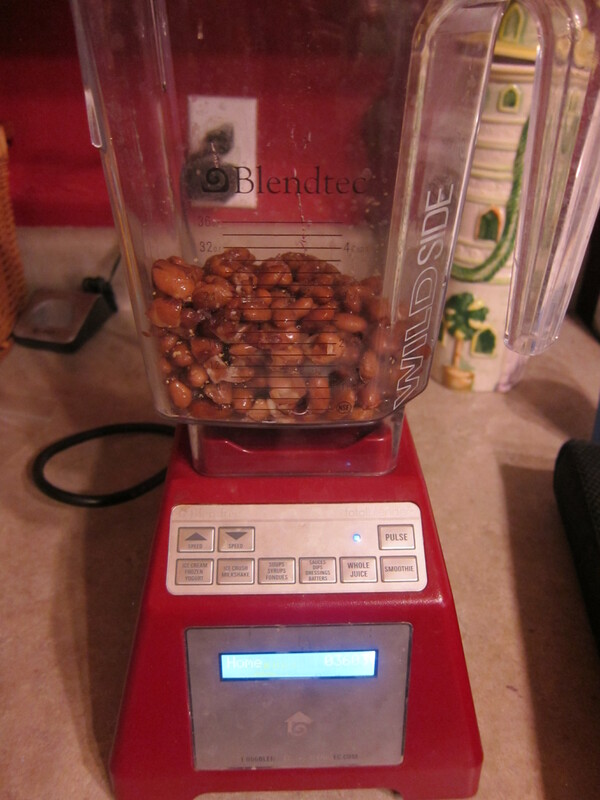 Combine warm water and sugar in the stand of a heavy duty mixer(or just a large bowl if you don’t have a big mixer). Sprinkle on yeast, stir to combine and allow to stand 5- 10 minutes until frothy. If you’re making buttermilk from lemon juice and milk, combine them now in a liquid measuring cup and let stand 5 minutes to sour. To the large mixing bowl with yeast water add buttermilk, melted butter, honey and salt and mix well. 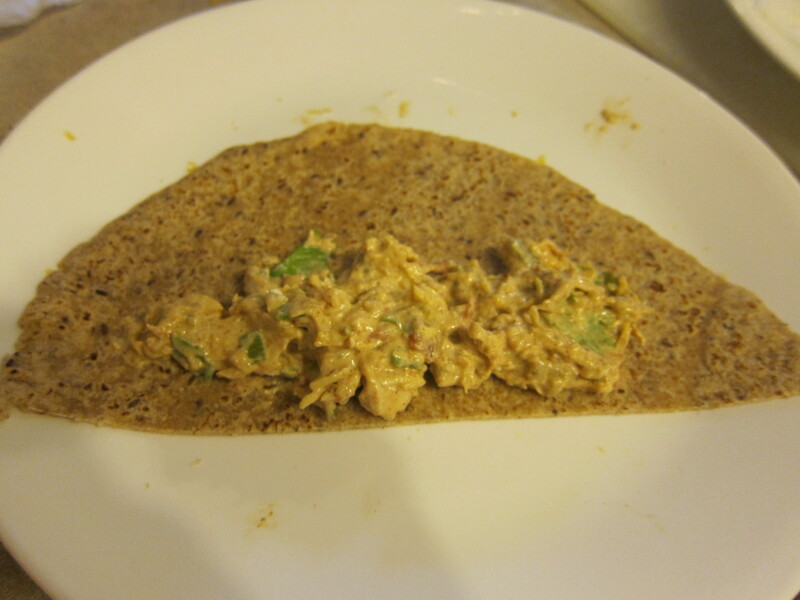 Add 1 c of brown rice or white flour, 1/4 c ground flax, 3 c of wheat flour, and vital wheat gluten and mix well. Add more wheat flour, 1/2 c at a time until the dough pulls away from the sides of the bowl, cleaning it, and barely sticks to your finger. Once it gets to that point, mix/knead for 5 minutes. Spray a large glass bowl or 9×13 dish with pam. Turn dough into bowl and cover with a clean dish cloth. Put in cool oven with a dish of boiling hot water underneath and allow to rise until doubled, about 30 minutes, or on counter for about an hour. Lightly flour work surface. Line 2 baking sheets with parchment paper and set aside. When dough has risen, transfer to work surface and divide dough in half. Roll each half into a circle about 12 inches in diameter and about 1/4-1/2 inch thick. Use a pizza cutter to cut dough into 8 equal wedges. Start with wide section of each wedge and roll down to the point. Place on baking sheet and form in a slight crescent. Repeat with remaining dough pieces. Cover and put back in cool oven with boiling hot water and allow to rise until doubled, about 20 minutes(or you can let them rise on the counter for about 40 minutes). Take them out and preheat oven to 375 degrees. Bake 13-15 minutes or until barely golden brown on top. Bake one sheet at a time and serve warm. Roll each half into a circle about 12 inches in diameter and about 1/4-1/2 inch thick. Use a pizza cutter to cut dough into 8 equal wedges. Start with wide section of each wedge and roll down to teh point. Place on baking sheet and form in a slight screscent. Repeat with remaining dough pieces. This is one of the few meals we make that every person in our family enjoys. Finding something the whole family loves, when you have five young children, is no easy task, and so it’s very satisfying when I make a meal that not only does every one eat, but I don’t have to plead/bribe/cajole anyone into eating their mandatory three bites before they can choose to make themselves something else. You can definitely use whole cooked beans in this recipe, in fact, I love it that way and so does most of my family, but my 8 year old does not like whole cooked beans unless you mash them up. I’ve tried to explain that they are the same exact thing, but no, she will not eat it unless it’s mashed. It literally makes her gag in it’s whole bean form. She must be a consistency person. So even though Miss Annabelle (4 years old) loves a variety of whole cooked beans, if I want to get Elisabeth to eat some, I mash them before I put them in enchiladas, quesadillas or in this case, taquitos. You can choose to use all chicken in place of beans if you don’t like beans, or you can use all beans in place of chicken if you don’t like chicken, or you can do a mix of both. 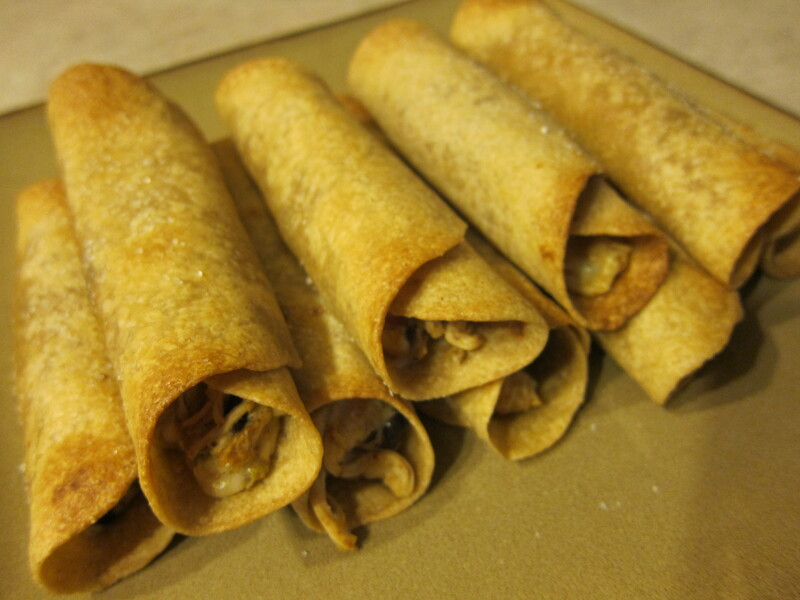 I usually do both, but sometimes I don’t have chicken made up and so we do bean taquitos. Whichever way you choose will taste fabulous! I will usually throw all the ingredients in the blender, minus the chicken and cheese, and blend until it’s more creamy than chunky, then I’ll put it in a small mixing bowl and stir in the cheese (and optional chicken). You can use a potato masher to mix the ingredients if you prefer more chunks; my kids don’t, which is why I blend :). 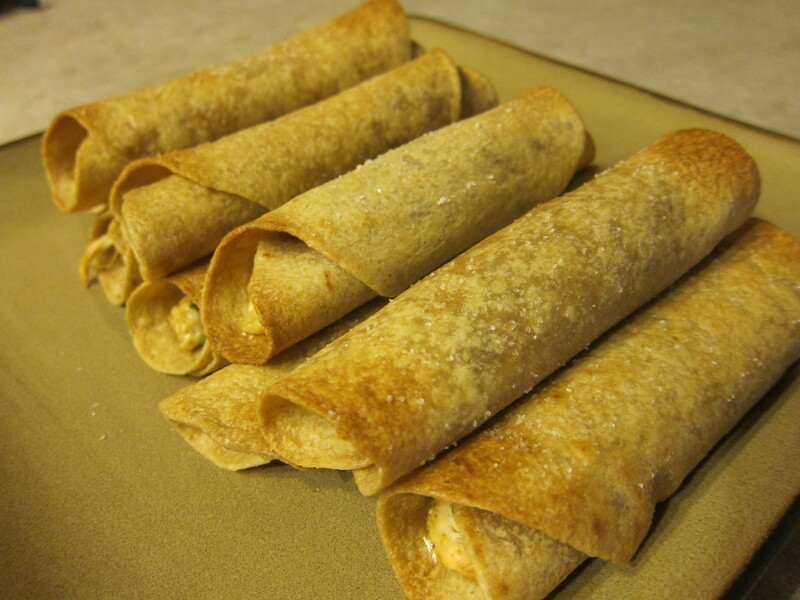 You can also choose if you’d like to use corn or wheat flour tortillas. 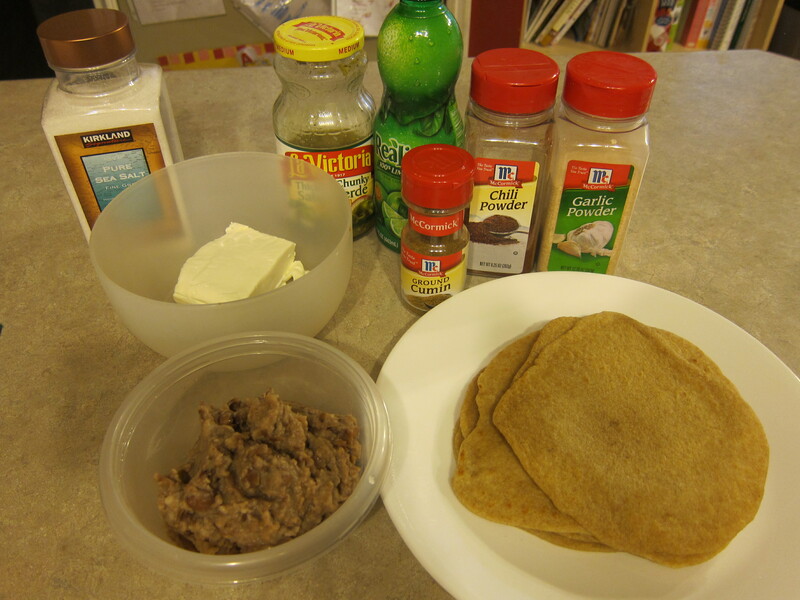 The ones pictured below are my whole wheat flour tortillas. I’ve used both and really like both. 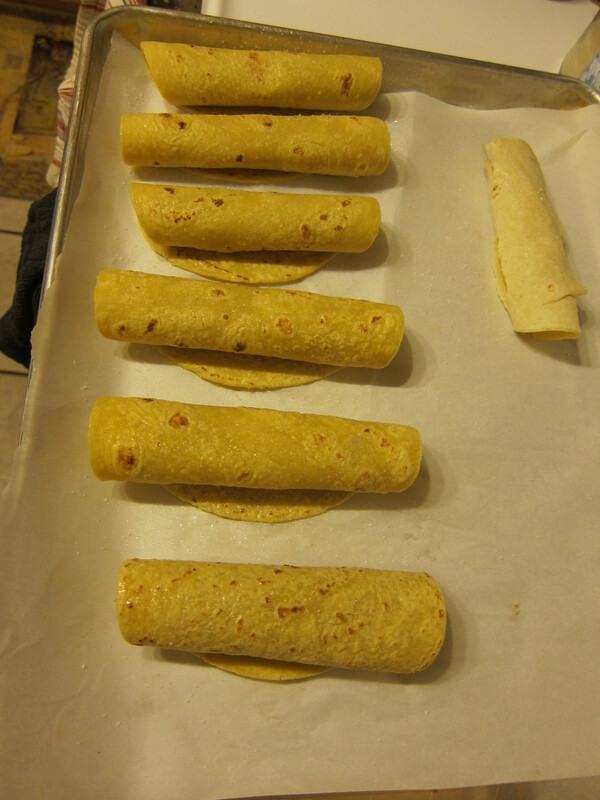 There is a trick to getting your corn tortillas to roll nicely and not break. I will put 5 corn tortillas on a plate and microwave it for 30 seconds. Then I take a dish towel that I’ve just run under warm water from the sink, and squeezed a lot of the water out, and I set that on top of my warm tortillas. This will make your tortillas warm and moist and will help them stay together better…when they’re dry and cold, they crack and break. If you’ve tried this multiple times and still can’t get the hang of it, you could try switching to the La Tortilla Factory brand. Those tortillas seem to be more pliable. Flour tortillas always turn out great. I like to use my own whole wheat flour tortilla recipe and that way I can roll them out to be the same size as corn tortillas. 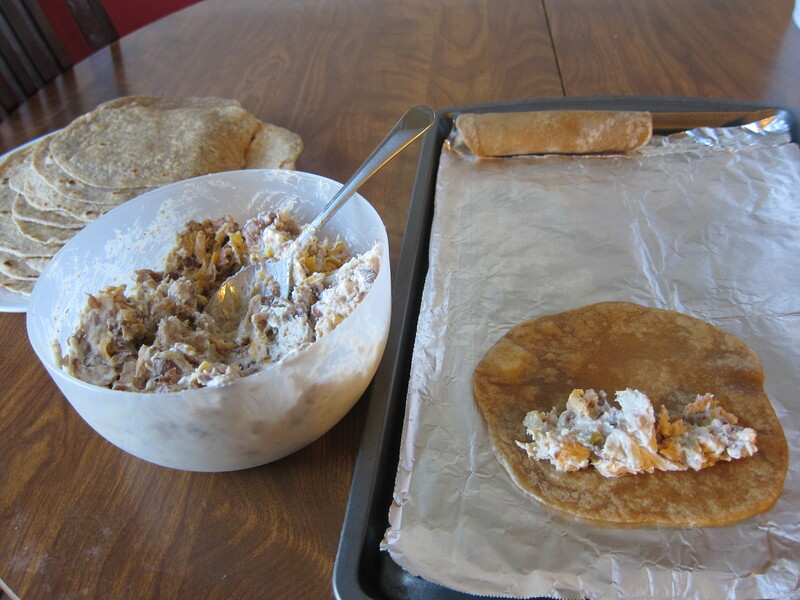 If you’re using store bought ones and can’t find the small tortillas, don’t worry because you can just cut the tortilla in half and roll it up that way; it’ll be longer then the corn tortillas, but they still work and taste great! And if you’re like me and like to prep foods earlier on in the day when you have a minute to work in the kitchen in a stress-free environment (as opposed to right before dinner time when all the kids are home from school and everyone is needing you at once: “mom help me with piano, mom correct my homework, mom help me practice spelling words, mom I’m starving and need a snack!! !”) you can get the filling together before hand. Then all you’ll need is about 10 minutes to fill and roll these just before dinner while the oven is preheating and in they go for 10-15 minutes or until they’re crisp and the ends are golden brown. 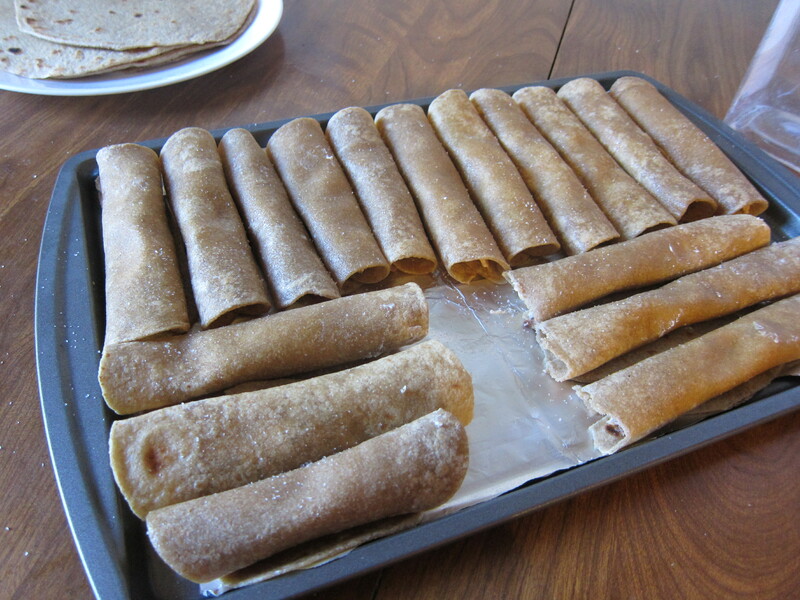 Here is a picture of the whole wheat taquitos just before I put them in the oven. Don’t forget to give them a light spray with Pam; this will help with the crispness, and sprinkle them with salt. We love to dip these taquitos salsa and/or guacamole! You could serve this with corn, rice and beans, or a southwest salad. Yum! You’ll want to warm up the tortillas, five at a time, for about 30 seconds in the microwave to keep them from cracking and then cover them with a warm, damp dish towel. If you’re still having problems, try using the La Tortilla Factory brand of corn tortillas, they’re more pliable. 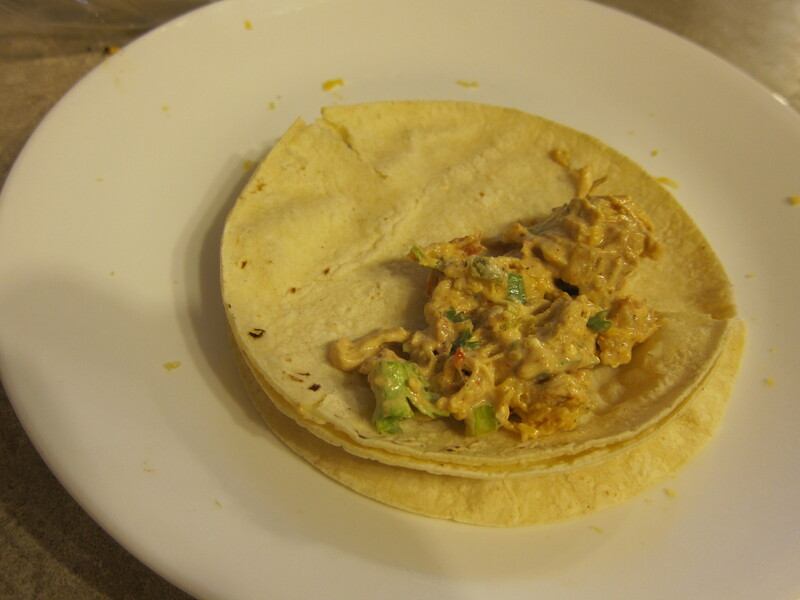 Place 1-2 T of bean/cheese mixture on the lower third of a tortilla, keeping it about 1/2 inch from the edge. Roll tight. Place on pan seam side down. Spray with cooking spray and sprinkle with salt. Place pan in oven and bake for 10-15 minutes or until crisp and the ends start to get golden brown. It’s nearly Christmas! We have a Christmas tradition of eating cinnamon rolls for breakfast. I don’t think we’re the only ones with this tradition and since Christmas is quickly approaching, I wanted to share my favorite recipe and one that is made with mostly whole foods and is better for you than any other store bought roll and/or most other recipes out there. The actual roll part of this recipe is one I’ve come up with that is amazingly yummy, and soft and is made from whole white wheat flour and a little brown rice or spelt flour(or you could use a little white flour in place of the spelt/brown rice flour; for the small amount used in this recipe, I think it’s okay). I need to warn you though that the filling has brown sugar and the icing has powdered sugar; granted you can make powdered sugar yourself with evaporated cane juice if you’d like(do not use sucanat; it tastes funny as an icing), but I didn’t for this recipe. I used the refined stuff. Please, no unkind comments. I’m not an extremist and yes I think it’s fine to have a cinnamon roll on Christmas morning or on your birthday if you like. Heck, I even had pie on Thanksgiving! That being said, when you make your food from scratch, it’s going to be better for you than store bought stuff which has preservatives and other things added. And, you’ll know exactly what’s inside and you can healthify recipes to make them a little better for you, which I did for the bread in this recipe. I have tried making the filling with Sucanat or another unrefined cane sugar in place of brown sugar but it just does not work out. Really, it doesn’t. It changes the whole flavor of the cinnamon roll, and not really in a good way. So, if you or your family loves cinnamon rolls like we do and you want to healthify it some how, then make this recipe. At least then you’ll have incorporated a couple of excellent grains in there to help balance the blood sugar spike :). And yeah, you could use less brown sugar and butter, but then it’s not as ooey gooey and I love the ooey-gooeyness of these cinnamon rolls! Here are your ingredients; basically typical bread making stuff like flours(white wheat and brown rice), yeast, evaporated cane juice (says ‘organic sugar’ on the bag; I’ve found that Costco sells it for the best price), milk, butter plus your filling and icing ingredients. You can definitely make this in a large mixing bowl and knead it by hand; I used to do that until I got my Bosch. If doing it by hand, put everything in your large mixing bowl that I put in my Bosch, and mix it with a spoon until the dough gets too thick to work with a spoon and then use your hands. First thing you’ll want to do is warm up your milk, butter and sugar in a medium saucepan over medium to medium high heat. You want the temperature of the milk to be about 120 degrees F. If I’m doing it in the saucepan, I stick my candy thermometer inside and watch it. Add your warm milk mixture to your mixer and then add 3 cups of flour, salt, and eggs and yeast and mix to combine. I make all my yeast breads etc this way as it protects the yeast, putting it on top of everything else, in case the liquid is too hot. And no need to let it sit just yet. Now, the only time you would want to proof your yeast first is if you think your yeast might be so old that it has expired and won’t rise. I’ve never had that problem as I store most of my yeast in my freezer and the rest is in the fridge for immediate use. Add the remaining flour, 1/2 cup at a time, until the dough pulls away from the sides of the bowl and cleans it and then stop adding. Do not add too much because the stickier the dough the lighter the roll so only add more if absolutely necessary. Allow the Bosch to mix for another 5 minutes. If you’re kneading by hand, shape the dough into a large ball and then knead for about ten minutes. Transfer dough to a large, greased bowl or 9×13 pan, cover and let rise in a warm place about 1 hour or until the dough has doubled in size(I like to speed this process by boiling water in a saucepan and then placing it in the oven with my bread, which I’ve covered, and shut the oven door; the warm, dark and humid oven will cut your rise time in half). Roll the dough out on a lightly floured surface, until it is approx 21 inches long by 16 inches wide. It should be approx 1/4 thick. Preheat your oven to 400 degrees if you’re making cinnamon rolls for today(if doing overnight rolls, obviously wait on this part). Make your filling by whisking together the brown sugar and cinnamon in a small mixing bowl. Spread the softened butter over the surface of the dough, then sprinkle the brown sugar and cinnamon evenly over the surface. Place the cut rolls in a lightly greased baking pan(you should get about 12 rolls) and if you’re making them for today, cook for ten minutes or until golden brown(and watch the centers to see if doughy). No need to wait while they rise as they will rise while in the oven cooking! While they cook, combine your icing ingredients and cream together with a mixer until fluffy. Once done allow to cool for 5 minutes before adding the icing…if you can wait :)! If you’re making these for tomorrow morning (I’ll be making these Christmas Eve for Christmas morning! ), cover them with saran wrap and stick them in your fridge over night. But don’t go to bed just yet. Combine your icing ingredients together as well and then cover that and stick it in the fridge so that you don’t have to do that in the morning when you’re still half asleep. In the morning, about an hour before you want to eat these, pull your cinnamon rolls and icing out of the fridge and stick them on your oven. I like to put my rolls on the burner that gets the warmest when my oven is on so it’ll help these babies rise faster. But don’t put your icing on that burner because it’ll get too hot and it may melt your tupperware container if that’s what you used to store it in. Then preheat your oven to 400 degrees and let them sit on top of that oven for about 30 minutes so they can warm up and rise a bit. After your 30 minutes are up, take off your plastic wrap and put them in the oven for about 15 minutes or until they’re golden brown, like I mentioned above and not too doughy in the middle. If they’re getting too brown on top but you feel like they still need a little more time in the oven, no worries, just cover it up with a piece of tin foil and stick it back in for 5 minutes or so. Then if you can wait about 5 minutes for them to cool before you add your icing then you’ll still have a nice spread on top, but they will still be warm enough that it’ll also melt down the sides. Oh, my. Heavenly. And you can totally double this recipe. Just remember you’ll need two 9×13 pans. All this writing and looking at pictures is sure making me hungry. It’s a good thing you can’t whip these up in 5 minutes; I would be making and eating them WAY too often if it were that easy. The center is my favorite part. For the rolls, warm up your milk, butter and sugar in a medium saucepan over medium to medium high heat. You want the temperature of the milk to be about 120 degrees F. If I’m doing it in the saucepan, I stick my candy thermometer inside and watch it. Add your warm milk mixture to your mixer and then add 3 cups of flour, salt, and eggs and yeast and mix to combine. I make all my yeast breads etc this way as it protects the yeast, putting it on top of everything else, in case the liquid is too hot. And no need to let it sit just yet. Now, the only time you would want to proof your yeast first is if you think your yeast might be so old that it has expired and won’t rise. I’ve never had that problem as I store most of my yeast in my freezer and the rest is in the fridge for immediate use. Bake for 15 minutes or until light golden brown. While the rolls are baking combine the icing ingredients. Beat well with an electric mixer until fluffy. When the rolls are done, spread generously with icing. Overnight instructions: Once you’ve sliced your cinnamon rolls and placed them on a baking sheet, cover your cinnamon rolls with saran wrap and place in fridge overnight. Cream together your icing, cover and also stick in fridge over night. In the morning, pull cinnamon rolls and icing out of fridge and set on top of oven to rise. Preheat oven to 400 degrees(the warmth from the oven will help these rise faster). Allow cinnamon rolls to sit for about 30 minutes. Place in oven and bake for 15 minutes until golden brown. These are amazing any way you eat them, but best served warm(leftovers are amazing as well! I like to pop mine in the microwave for 10-15 seconds).